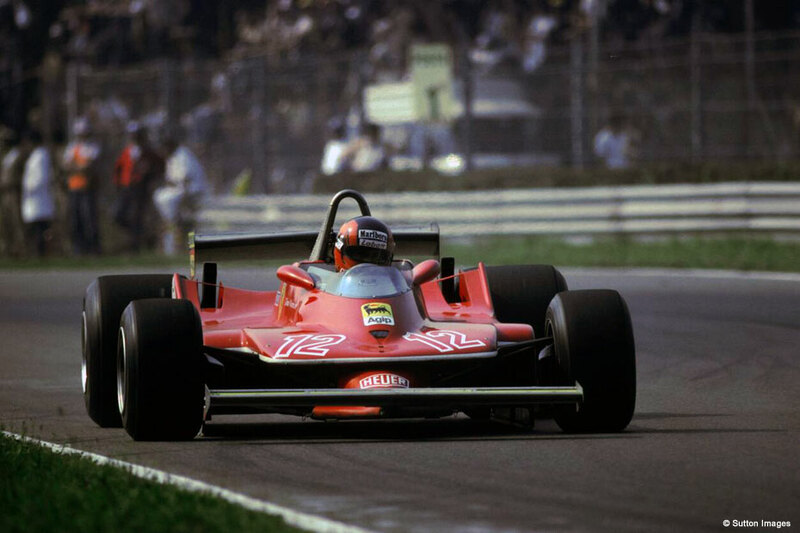 Gilles Villeneuve only won six Grands Prix in his short career in Formula 1, but his own agonistic history is studded with events which made him a legend, an inimitable driver. Many were fascinated by Gil, but only a few could see the difference: most only guessed it, everybody in their own way. Somebody was struck by his courage, some by his sincerity, some by his exploits in helicopter or on the highway, some others by his look or his kindness. Result was the same: affection and admiration for a man who was better than the others, either on track and out of it. 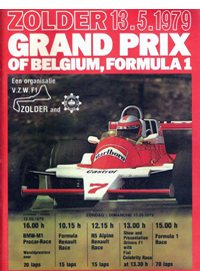 This page is about twelve Grands Prix in which he turned out to be the main character; all of them have been chosen on the basis of memories and emotions imprinted in our hearts and certainly, besides his victories, there are some other important elements as, if it were not like this, the little Canadian would not be the great driver we cannot ever forget. I hope that recollection of his exploits and re-proposal of his pictures can mitigate, although very little, the regret and the bitterness for those days that will never be back. 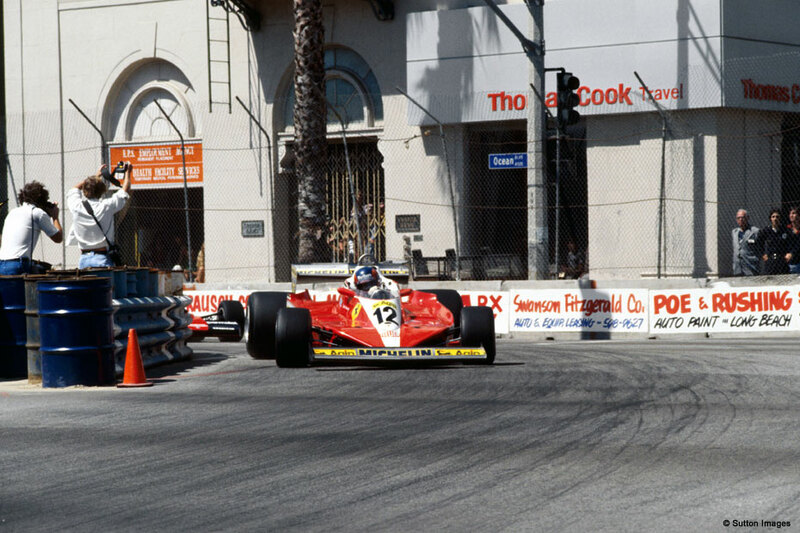 The light is green, go Gilles go! 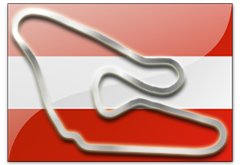 68 laps - 320,824 Km. Jabouille makes his debut with the Renault, but he only drives sixteen laps; Patrick Tambay makes his debut with Ensign, but he does not even cover four laps. 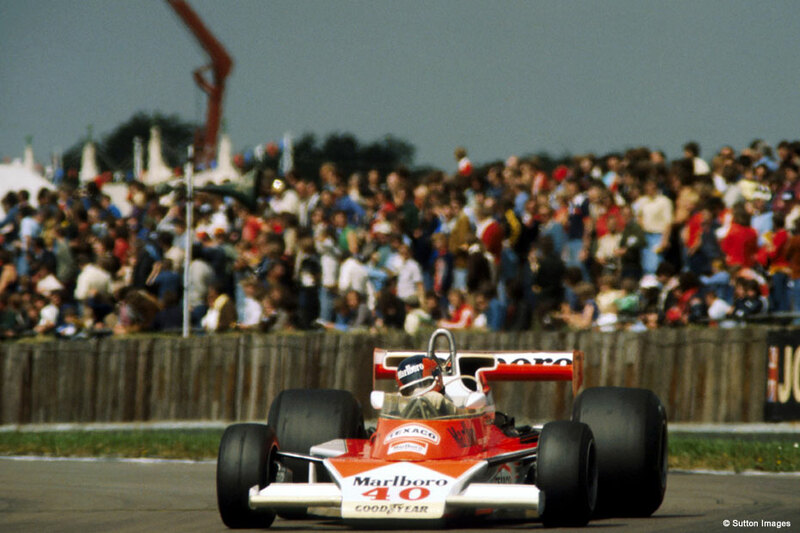 Gilles makes his debut with a McLaren and ends eleventh. 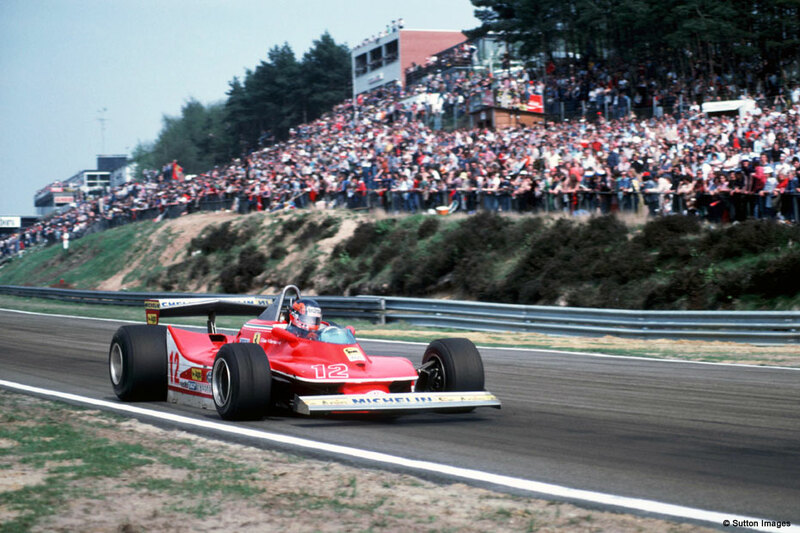 Gilles is the real revelation of the weekend, after his ninth time in qualification. In the Sunday morning free practice the Canadian turns out to be the fastest one. "We will hear about Villeneuve very much and very soon" newspapers write. After nine months, Hunt is back on podium as a winner; in his hard times he never gave up hope and always declared that victory was just round the corner. The same cannot be said for Watson, unlucky once again. 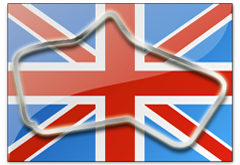 The English driver, in a fantastic position, can keep the lead till a supply problem puts him out of race. 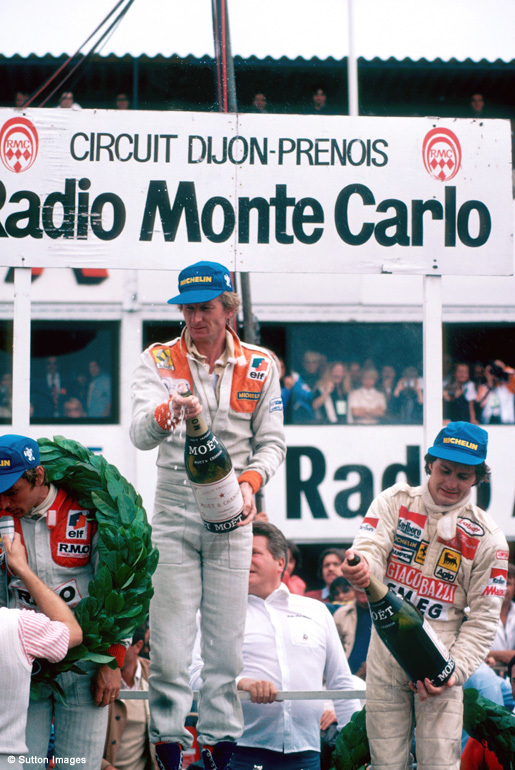 That time Hunt, who was in front of Scheckter and than Lauda, wins the race as he can easily overtake Watson and at the end Lauda is the second on the podium. Villeneuve needs to face a pit stop for a check, but in spite of this he his happy about his race, even though he does not openly show his enthusiasm: "I believe I am a quiet boy, and I need something really great to jump for joy. I don't get excited very easily." 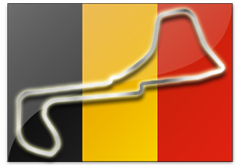 80 laps - 260,080 Km. Retired at 38th lap for collision. Two Ferrari in first row; Villeneuve is two tenths back his Team leader; this could be the race of the little Canadian, who has just recovered a nasty illness (the mumps). 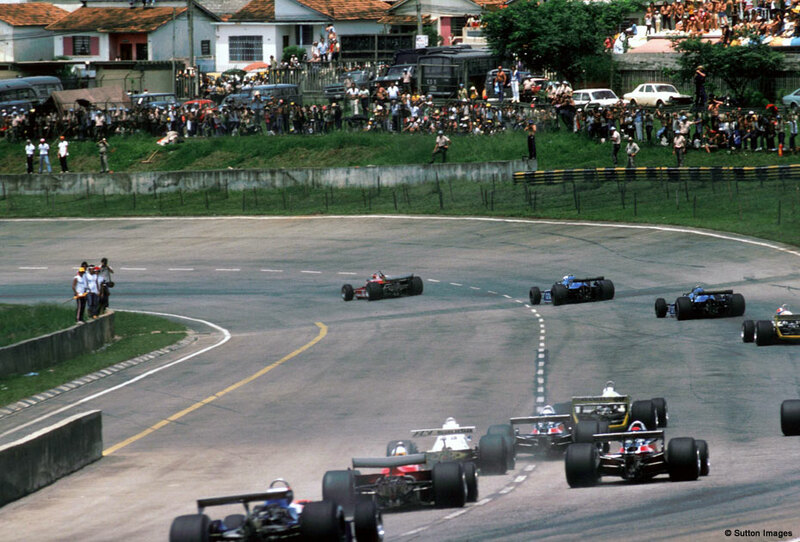 At the end of the first straight Reutemann is in first position, but at the first hairpin bend his car is touched by Watson and Andretti. 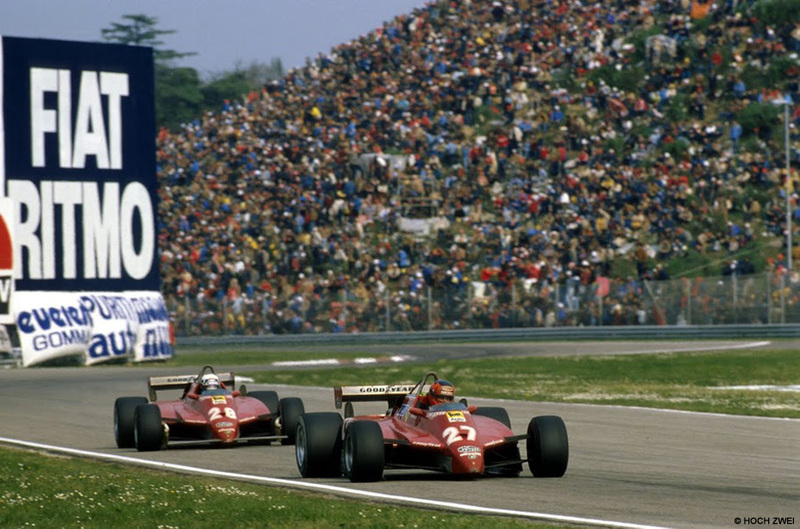 The Ferrari takes lightly down, it misses its rhythm and Villeneuve takes the lead. 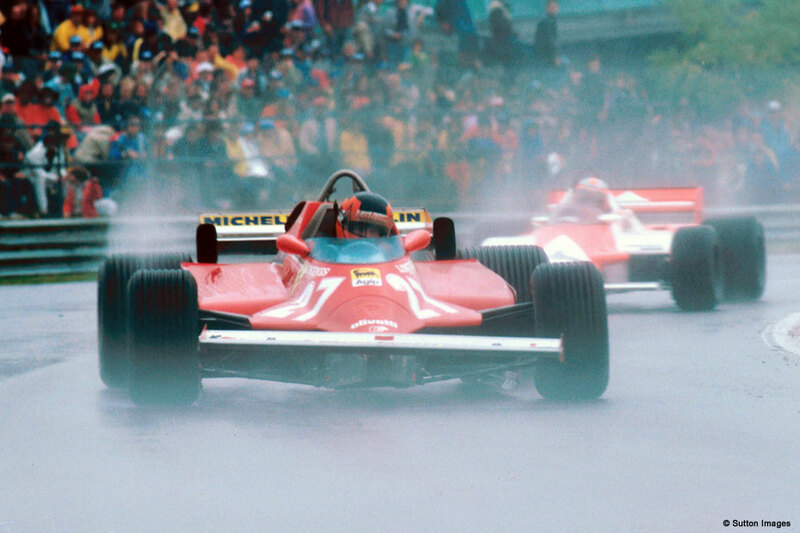 Less than nine months have gone by since his first Grand Prix, six months after his debut with a Ferrari, Gilles has been able to take the lead! 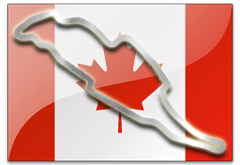 Everybody can notice the speed of the Canadian is real, it does not stop anybody, on the contrary, the lead seems to increase. 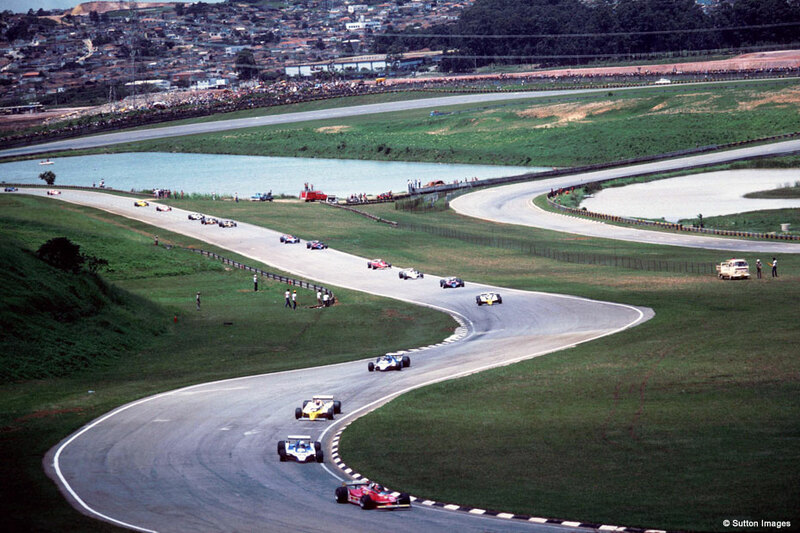 At the tenth lap this is the situation: Villeneuve is the first, Lauda is the second and Reutemann is the third. 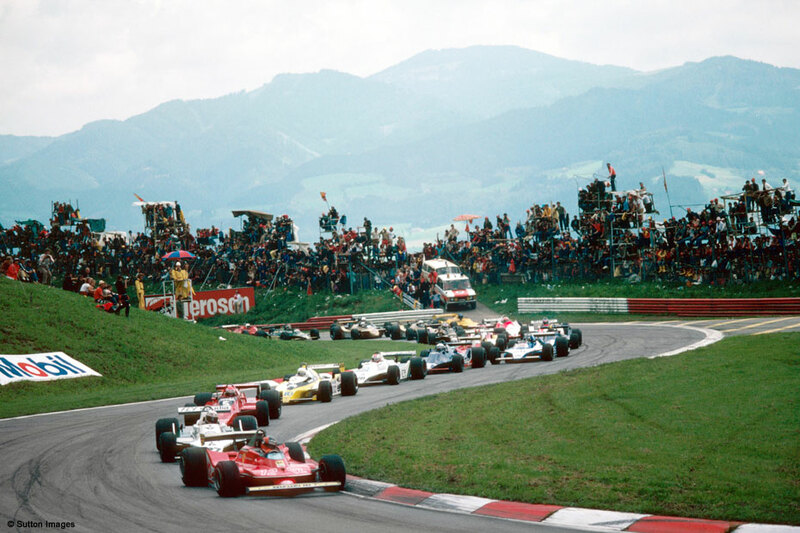 Niki is between the two Ferrari. 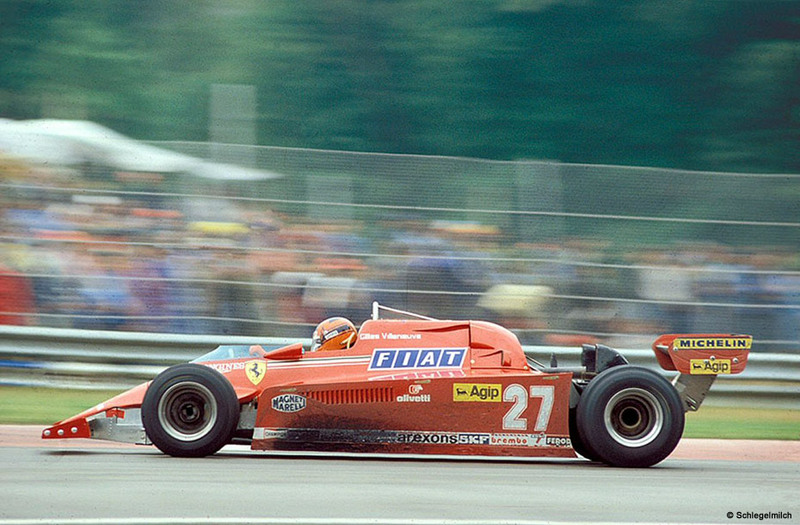 While Alan Jones attacks and overtakes Andretti, Gilles brings his lead at two and a half seconds. 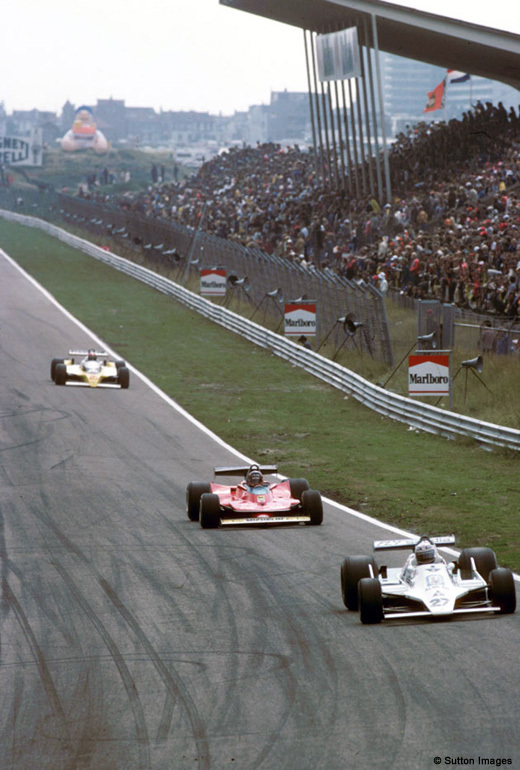 At the twenty-eighth lap Niki Lauda is suddenly left with no ignition and at the first turn he goes straight forward. 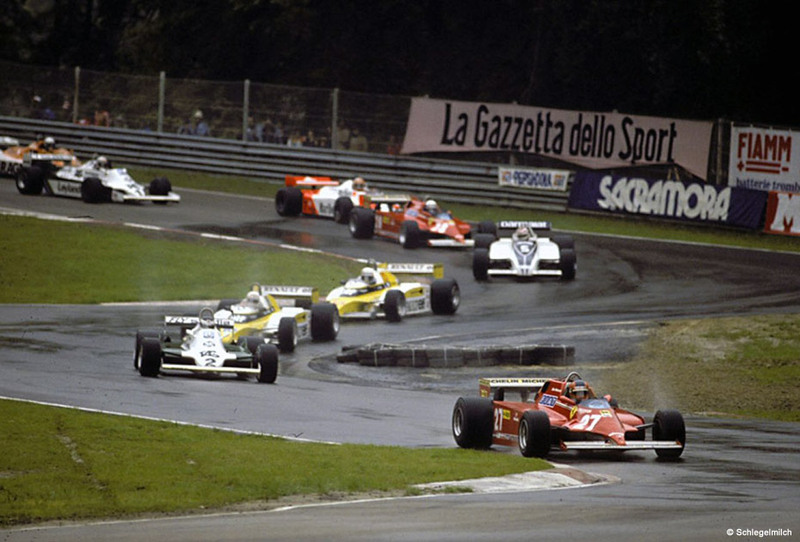 At the thirty-eighth lap the foul deed happens; Villeneuve finds himself to double Regazzoni: after having followed him for some turnes, he decides to overtake him in the mixed part, the most difficult of the whole circuit. 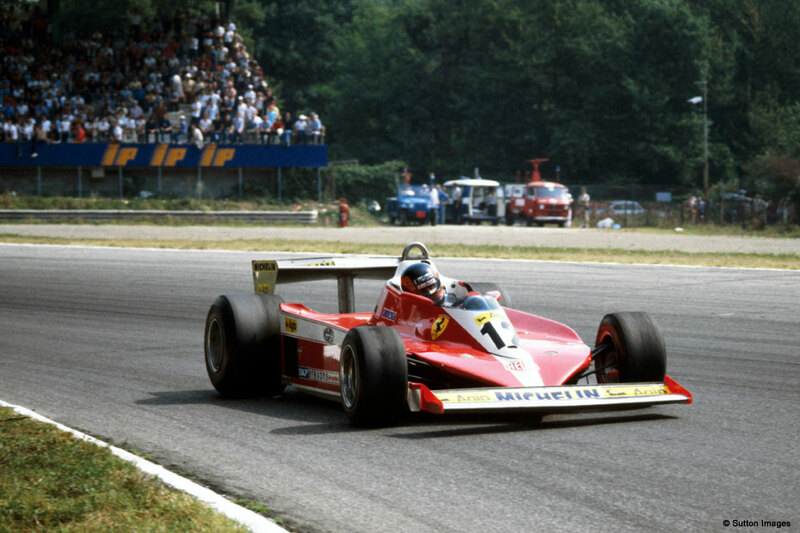 Clay can't see the Ferrari of the Canadian is approaching and closes the path Villeneuve has just taken. The T3 flies on the Shadow. 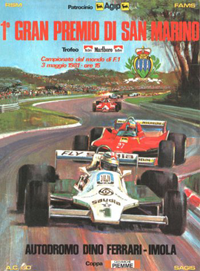 Gilles must give up, Reutemann has no opponents anymore and he wins. 40 laps - 232,000 Km. Peterson destroys his Lotus in the free morning practice. He starts with the old forklift on which they has been mounted on his engine. Andretti is in pole position, close to him is Villeneuve more and more reliable. The start is dramatic: at the narrowing which leads to the first chicane Patrese and Hunt touch themselves, this last touches Peterson. The Lotus crashes against the protections and burns. 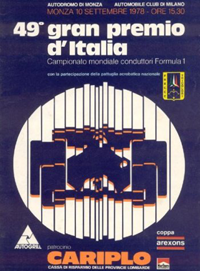 A chaos follows; a wheel jumps on Brambilla's helmet, and the driver faints. Vittorio gets off very well, while Ronnie is immediately taken to the closest hospital. 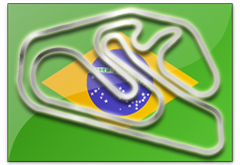 It is a bewitched race that day, the race is soon interrupted and the second start is given about three hours later. 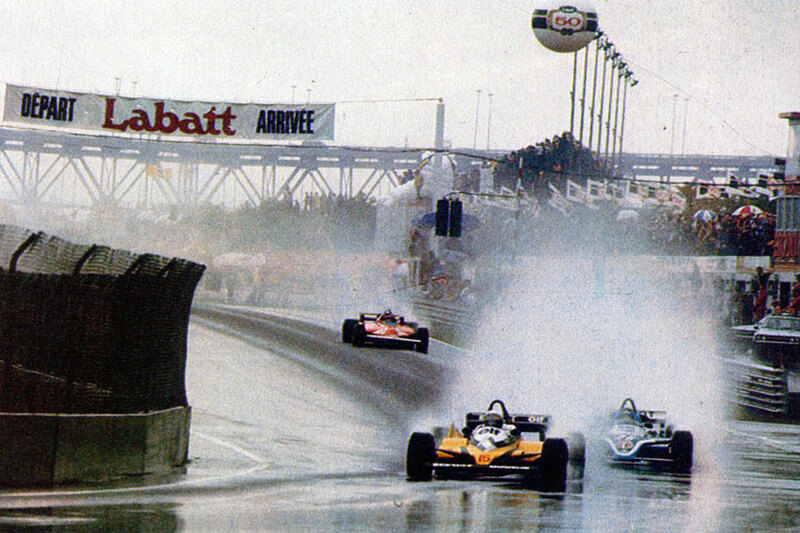 Villeneuve takes the lead followed by Andretti. People soon talks about a jump-start. At the ninth lap the news is official and Villeneuve and Andretti get one minute penalty. The two of them lead the race as real showmen. 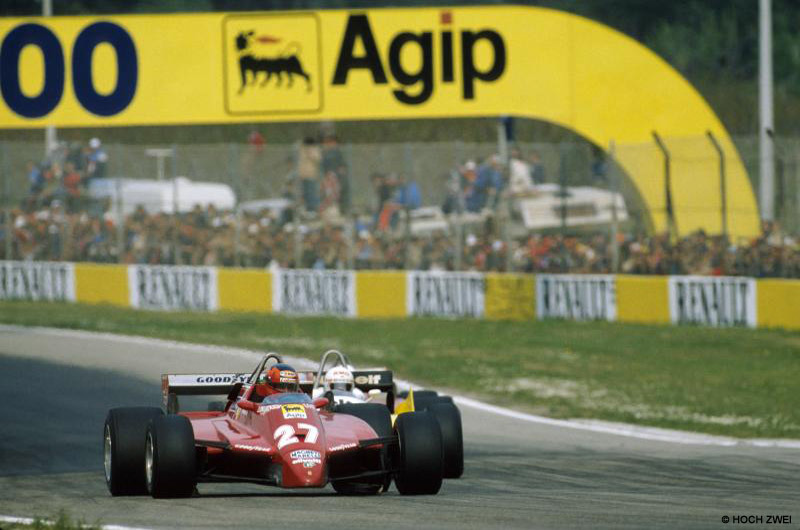 As long as the tyres resist Gilles is fantastic, then he needs to give way and at the thirty-fifth lap (out of the forty foreseen) Mario overtakes him. 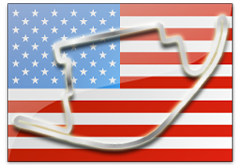 The flag waves in front of the Lotus but Andretti, with his minute penalty, ends in sixth position only and he is virtually the world champion. 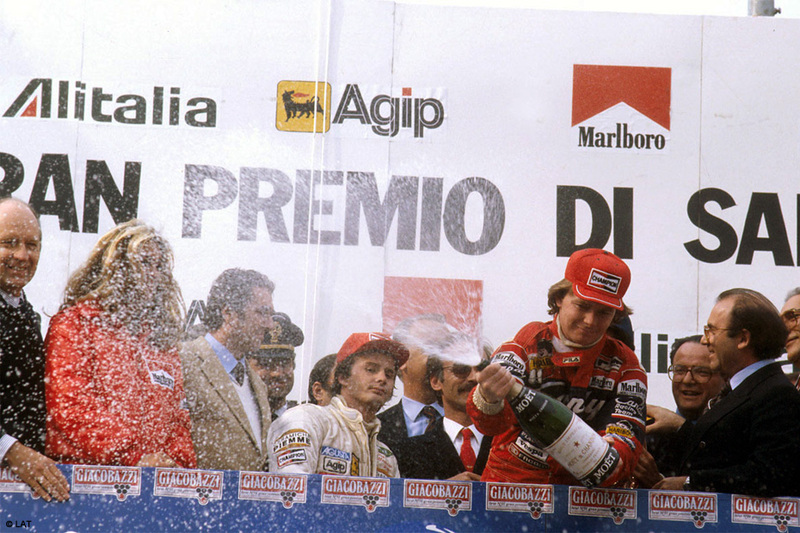 Victory goes to Niki Lauda who does not get on the podium. It is the eve of a sad day for the car-racing: Ronnie Peterson will die the following day for embolism. 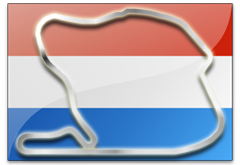 70 laps - 298,340 Km. Surprise comes from Nelson Piquet, third time in practice. Close to him, in the second row, the new Jones' Williams. Alfa Romeo makes its debut with Giacomelli: it will end with a withdrawal for collision due to De Angelis. 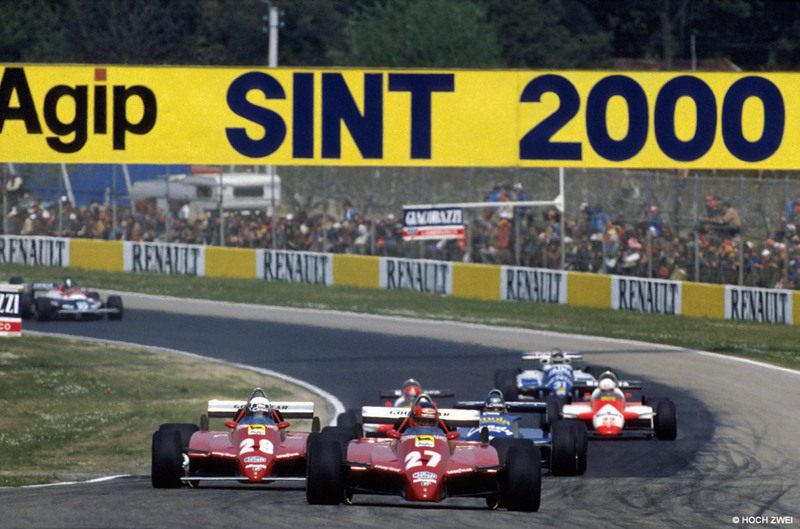 Depailler soon takes the lead, while Scheckter crashes the Regazzoni's Williams. At the eighteenth lap Laffite reaches his teammate and leads for four laps. Then it is Alan Jones time; the race is good for him, he gets one second per lap, but the Aussie needs to stop for electrical problems. 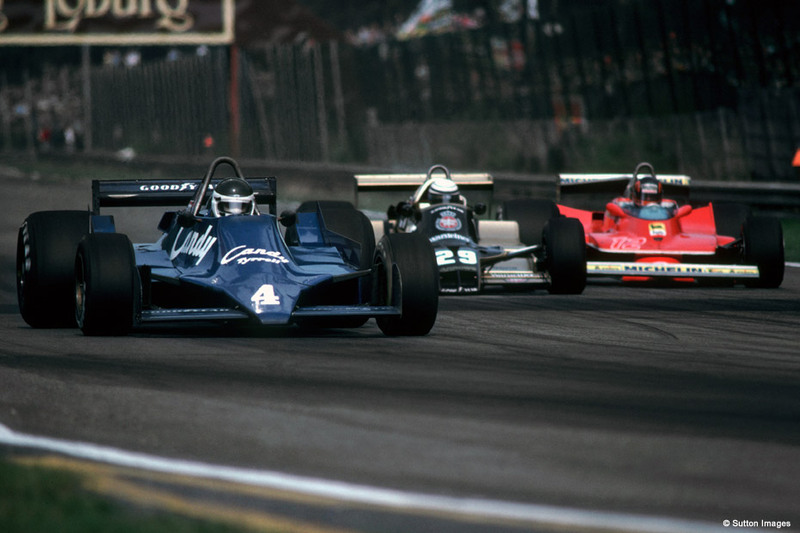 Depailler and Laffite do again take the lead. 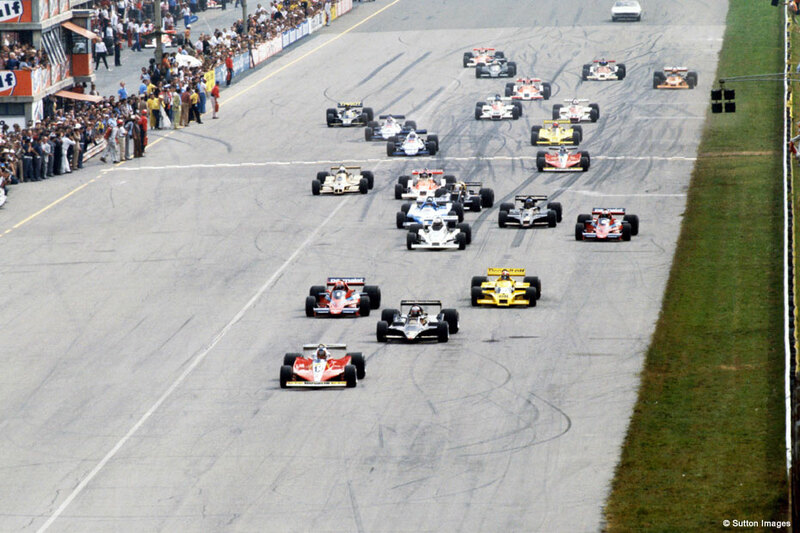 At the fifty-seventh lap Scheckter does definitely take the lead. 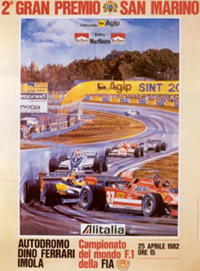 It is a lively race: Laffite is second, Depailler withdraws with a deflated tyre. Villeneuve, the real hero of the day, is not on podium. 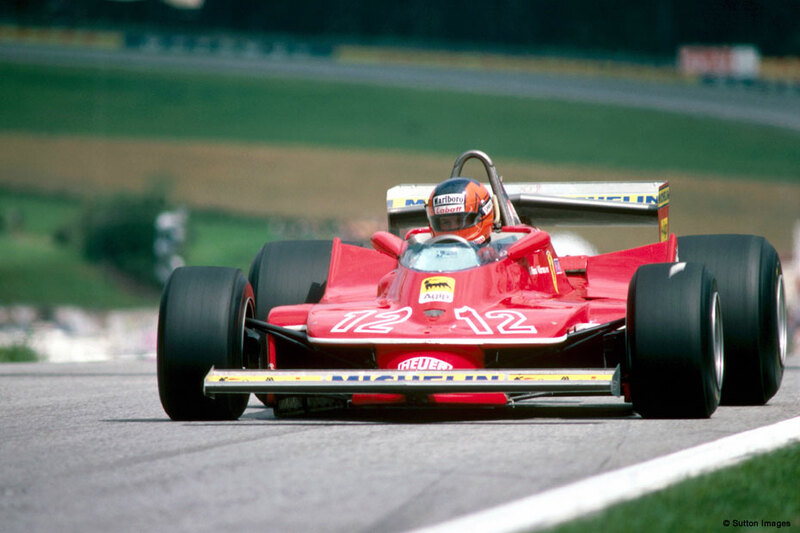 In the accident between Scheckter and Regazzoni Gilles is involved as well and needs to stop to change the front. When he restarts he is twenty-fourth, which means to say the last. The Canadian starts an incredible recovery, typical of a champion. Eight laps before the end he is incredibly third but at 300 meters from the goal he is left with no gasoline. He is classified seventh all the same. "Should this race have been made by Jim Clark you all would be exultant. You could at least clap your hands to Villeneuve." said Forghieri at the end of the race. 80 laps - 304,000 Km. With a striking start from the second row Villeneuve takes the lead and keeps it for forty-five laps. 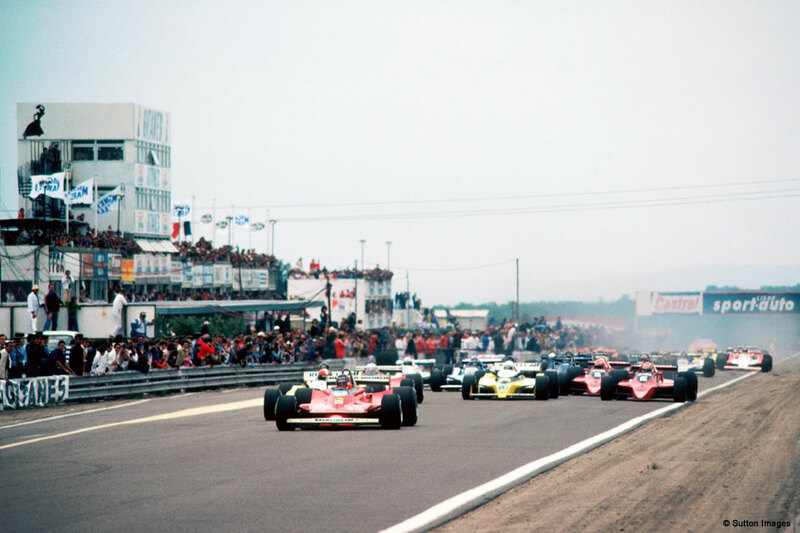 At the forty-sixth lap the higher power of Jabouille's turbocharged Renault gets its way; the French driver overtakes and he undisturbed goes towards victory. 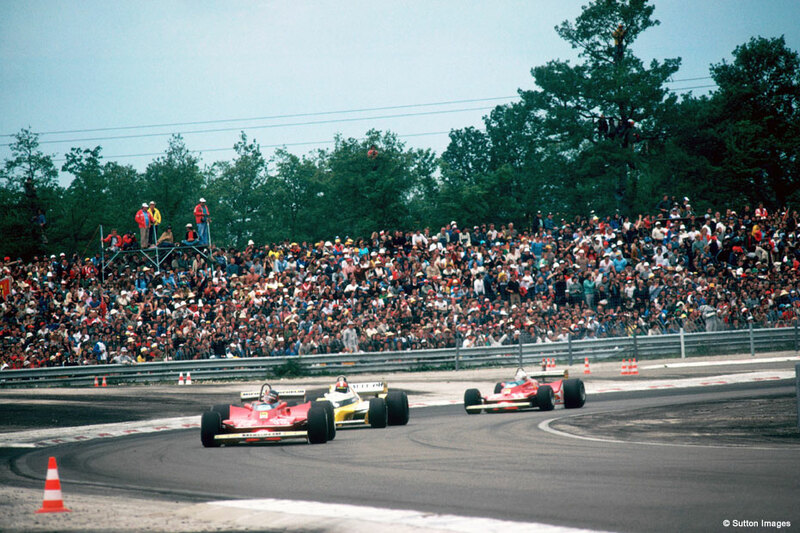 Arnoux and Villeneuve are left to conquer the second and the third position. 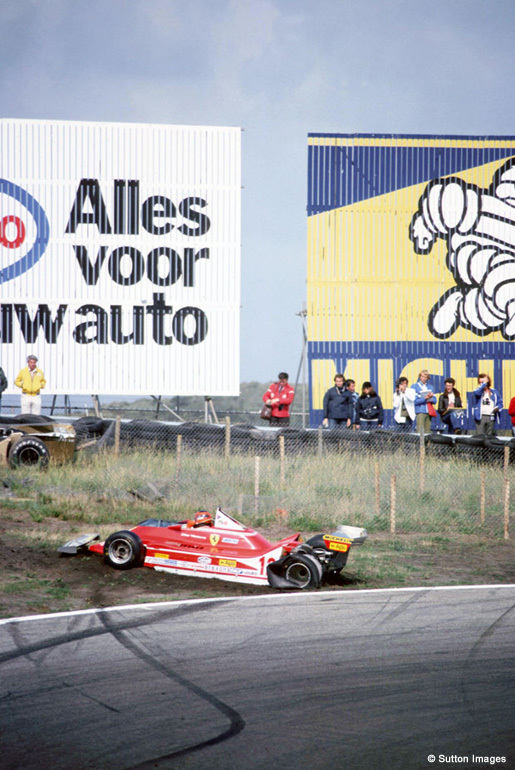 Both of them have got problems with their cars: Gilles has tyres and brakes while René has fuel troubles. 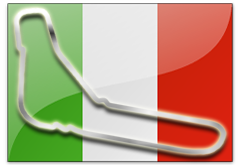 The curve at the bottom of the arrival straight track is the only place where the Ferrari shows its best; it is just there that Villeneuve becomes a legend with his two or three brakes to the limit. The front left wheel blocks and every time the wheel itself gives off smoke. 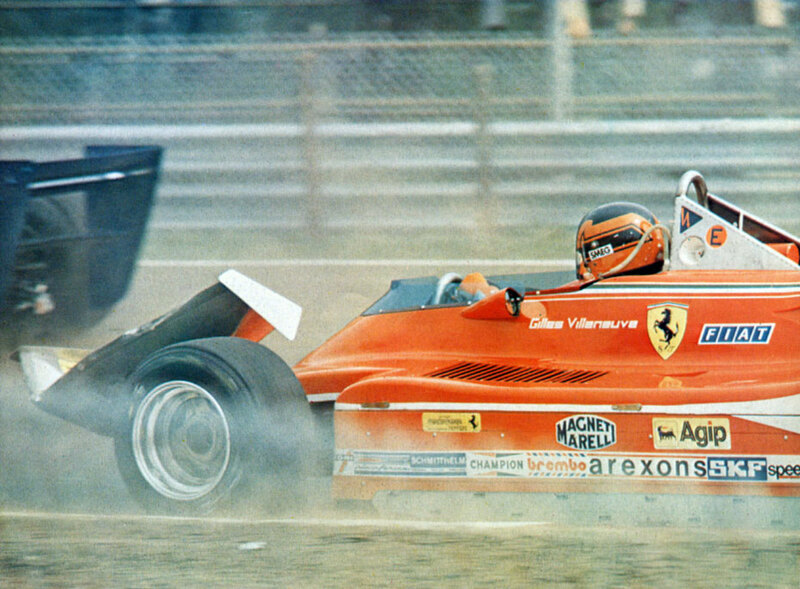 Gilles defends himself against Arnoux attacks, than it is René who needs to defend himself. They repeatedly hit on track while the breathtaking struggle is filmed by a TV helicopter. In the end Villeneuve is the winner over the French and after the race Enzo Ferrari says: "I think the Ferrari has a great driver." Gil and Renè reply: "We had great fun!" 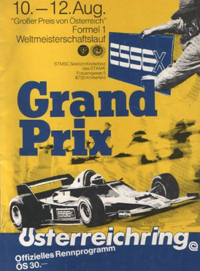 All the other events of the Grand Prix have been obscured by such a fantastic duel, which is now in the history of the modern races. 54 laps - 320,868 Km. Villeneuve provides once again an exciting start: from the third row he quickly springs forward, taking advantage of a corridor totally free at his right. After a few hundreds meters Gilles is incredibly leading the race. The marshalls watch the replay and consider the start of the Canadian to be regular. 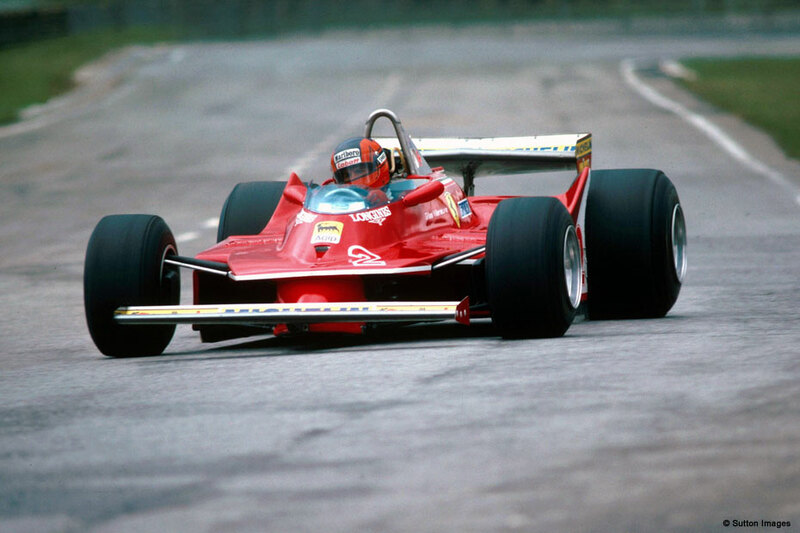 In his sprint the Ferrari's driver could overtake both the turbocharged Renault of Jabouille and Arnoux, as well as Lauda and Jones. 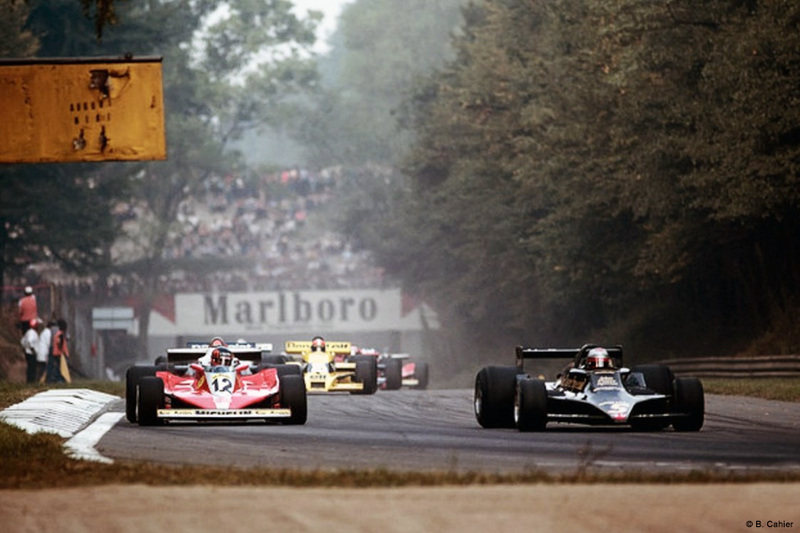 For three laps the Ferrari number 12 is on the lead, then at the "Rindt" curve Jones overtakes it. "I knew that sooner or later Jones would have overtaken." the Canadian driver said after the race. 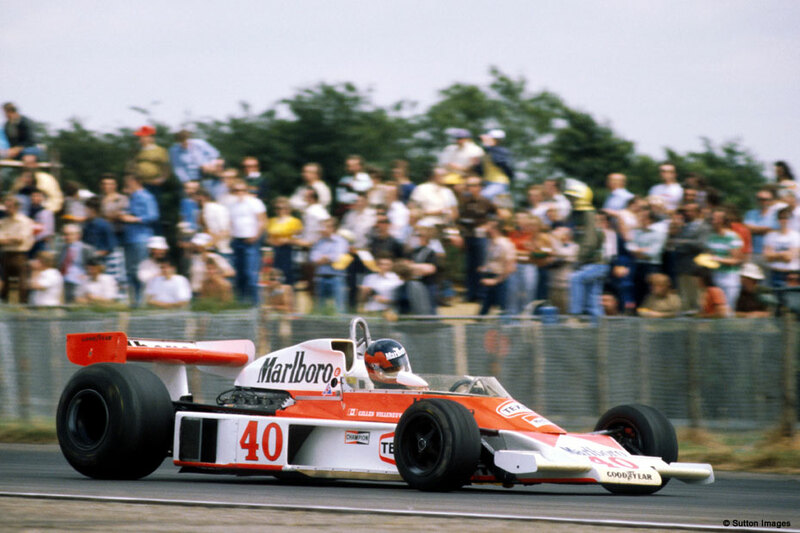 The Australian, on the other hand, said: "Villeneuve was slower than me at the exit of the curve and I could overtake him through the trail in the slope in front of the pits." Williams is the car of the day, it is invincible and it easily gains victory. 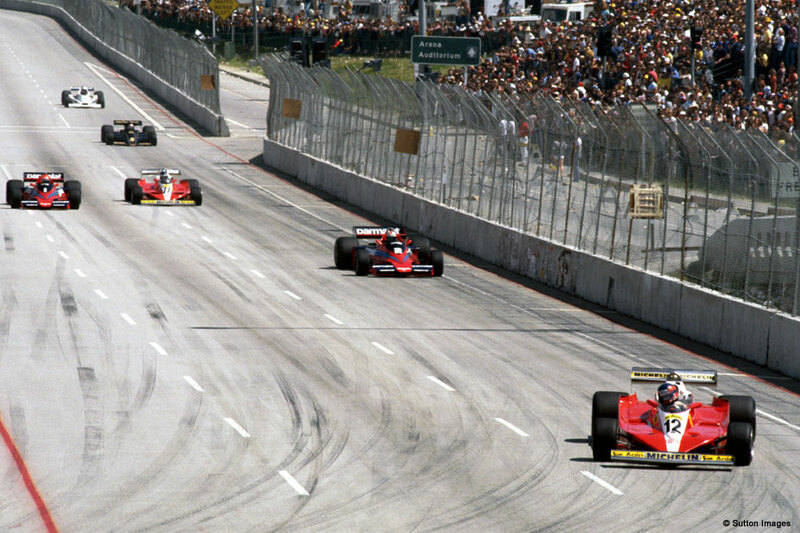 Gil comes second, Laffite is the third after having overtaken, in the last lap, Scheckter's Ferrari. 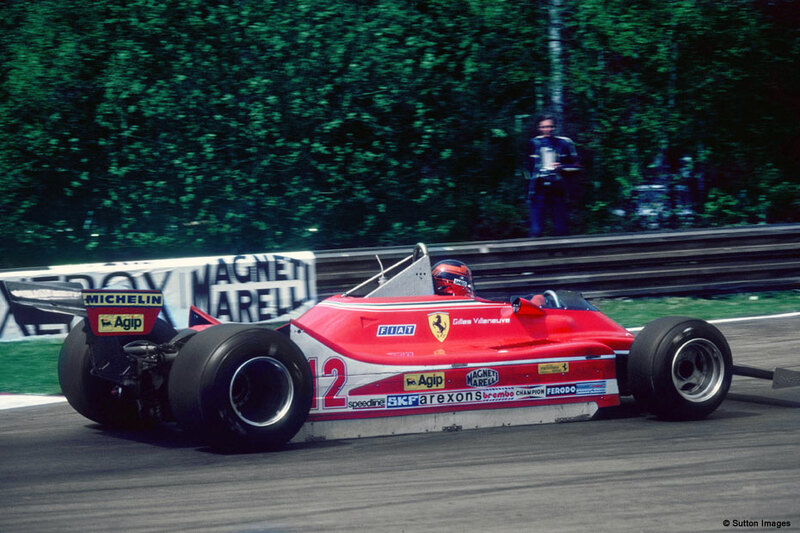 Regazzoni is the fifth, but his car has a less powerful engine than his teammate's. 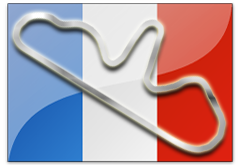 The Championship is really uncertain: Scheckter has 38 scores, Villeneuve and Laffite 32. 75 laps - 316,950 Km. Retired at 49th lap for suspension failure. 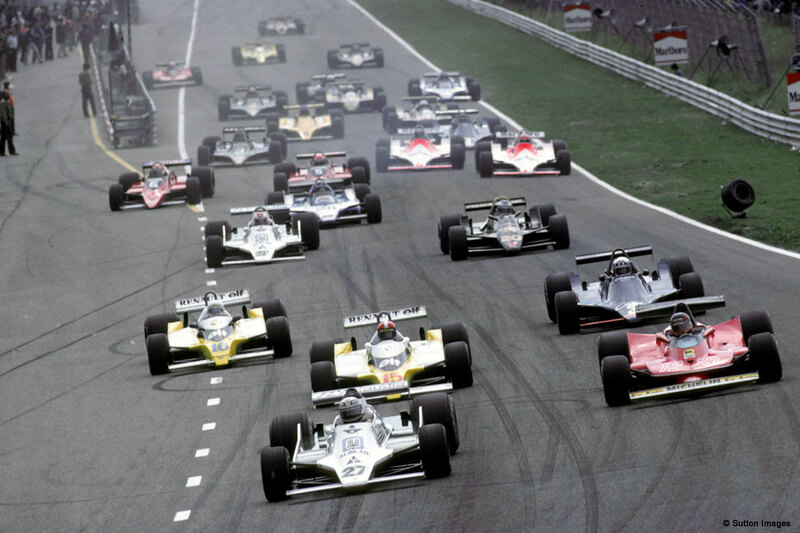 Epic day for Villeneuve, victory for Jones, striking recovery for Scheckter (from nineteenth to the second position), praises for Rosberg, who withdrew when he was fourth, Regazzoni and Arnoux eliminated at the start, first world scores for Piquet. 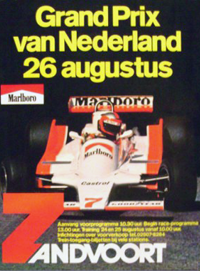 These are only some events, but the Dutch Grand Prix was animated, once again, by Villeneuve. 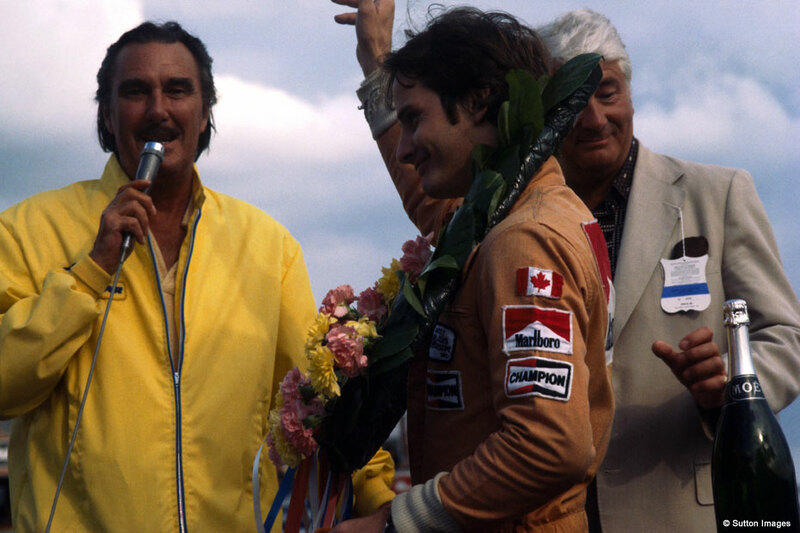 Jones held out against Gilles in the first laps, then the Canadian driver overtook him at the "Tarzan" curve, from the outer part of it. The attack and the overtaking were considered magnificient, fantastic; there was no car superiority but just the personal high class of the Ferrari's driver. 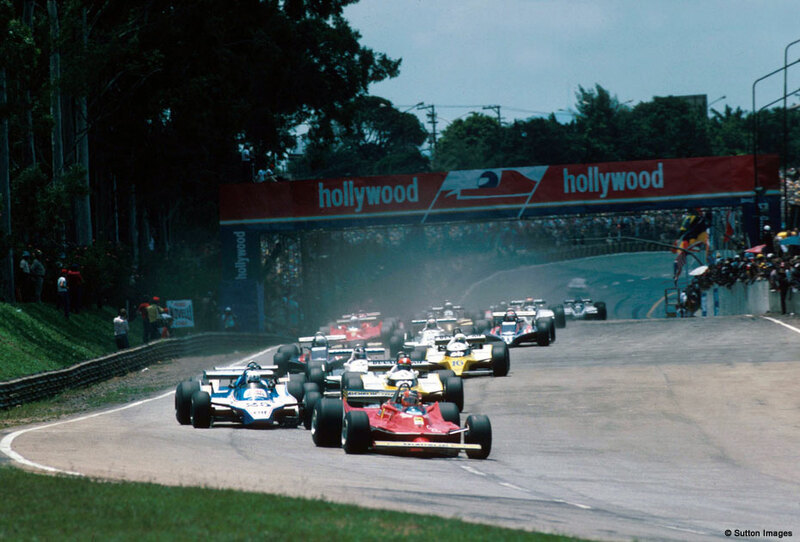 On the tenth lap Scheckter, who had faced a bad start due to some clutch problems, was in full recovery, he overtook at the "Tarzan" as well, on the twenty-second lap he was third already: he had gained sixteen positions in twenty-five laps! 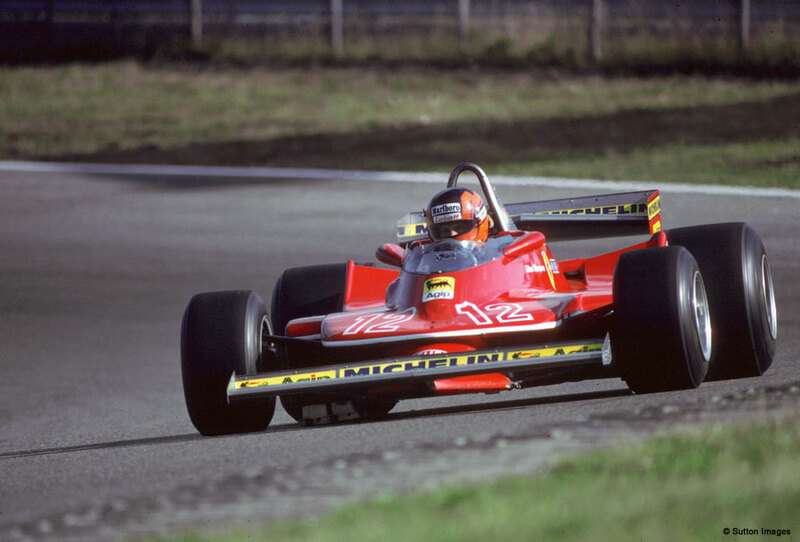 Just after half race, Villeneuve was in second position: his car spun at the new chicane due the holed left back wheel, which was slowly deflating. Two laps later the tyre suddenly explode on the straight opposite the pits and Gilles went out of track at the following curve, but he did not surrender, he went on track again and he drove on three wheels keeping his arm up to indicate the breakdown. The suspension broke and the car proceeded among the sparks created by the damaged structure. When he reached the pits what was left of the wheel and of the suspension were just a piece that could soon split. This meant an obvious withdrawal and a farewell to the World Championship. 50 laps - 290,000 Km. 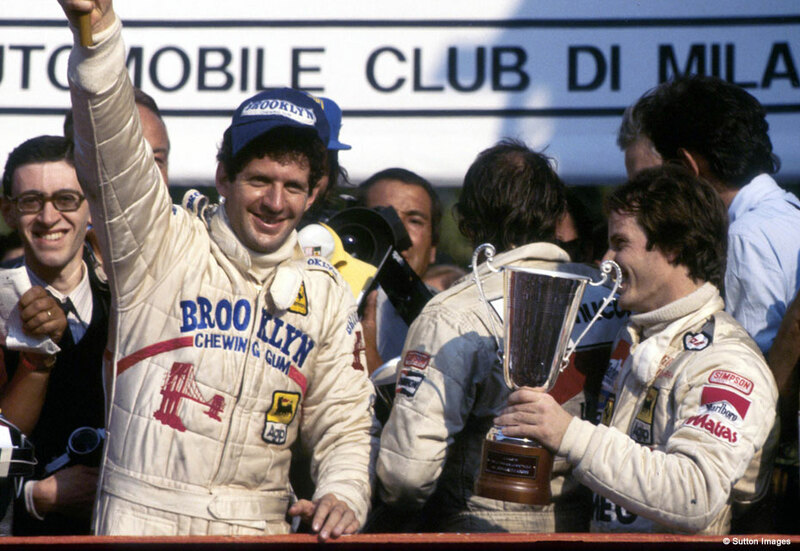 Great day for Jody Scheckter and for the Ferrari because they become World Champions. Villeneuve is second having followed the Team orders and advice given to him before the race. 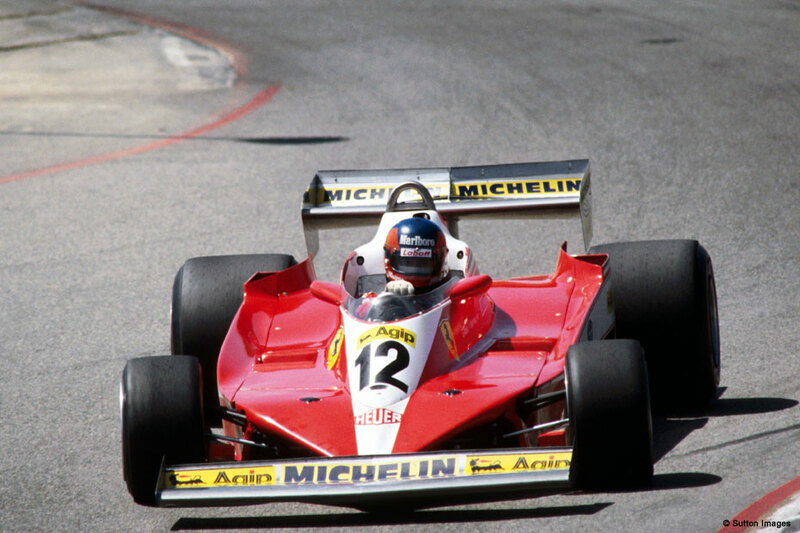 At the thirteenth lap Arnoux had stopped: if his turbocharged engine had endured there would have been no chance for the Ferrari to win. 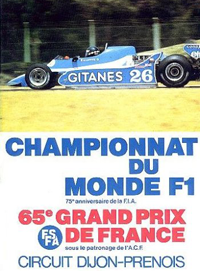 Laffite's Ligier, Scheckter direct opponent for the world title, is on race up to the forty-second lap, then the engine overrun and forces him to withdraw. 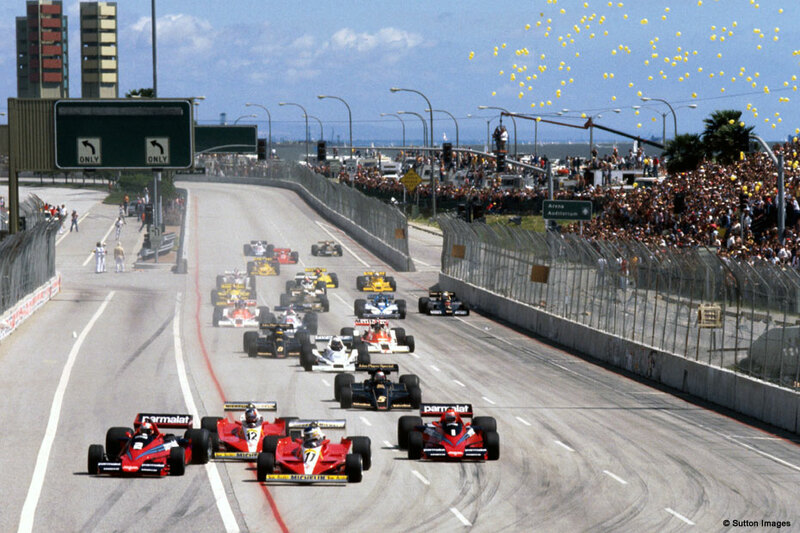 It is 4.42 p.m., Laffite goes to the pit lane and Scheckter is the World Champion. Gilles follows him like a shadow, as a faithful squire: he had promised not to attack, and he did so. 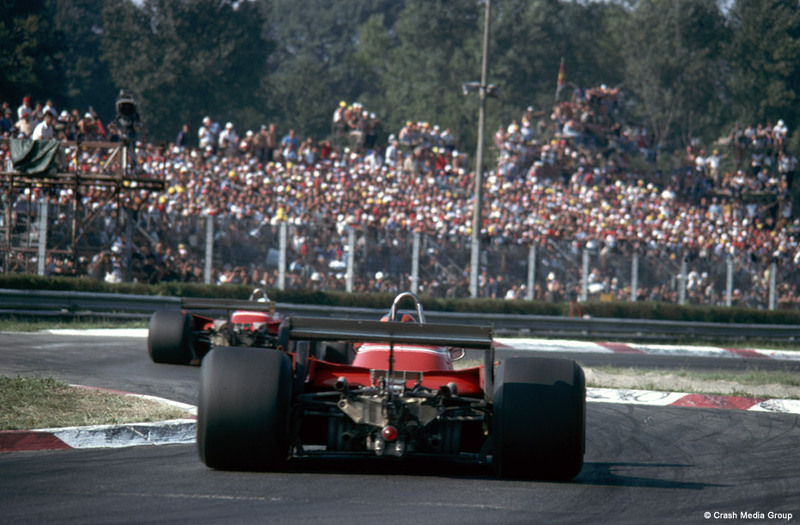 The last laps are a triumph for the Ferrari and for Clay Regazzoni as well, who does great in the general enthusiasm. The Swiss driver comes a very few seconds after the couple Scheckter-Villeneuve, being satisfied to have run the fastest lap. Under the podium many joyous flags welcome the new champion. Jody knows well that if Gilles had preceded him he could have fought for the title, but he has kept his promise to help him and it is great happiness for everybody. Villeneuve is anyway happy with his vice-champion title. 40 laps - 313,960 Km. 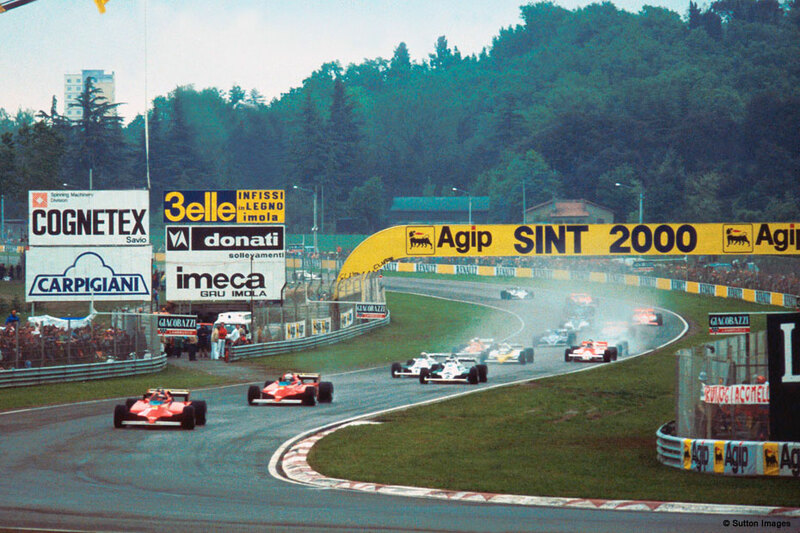 Villeneuve's start is considered a masterpiece: Gilles springs from the second row, his car is crosswise and slips between Pironi's Ligier and Jabouille's Renault; Gilles takes the lead. People in the stand are literally struck dumb. The Ferrari leads for two laps; then tyres troubles slow it down. Villeneuve goes back to the pits, the Michelin are changed, he goes on track again and dashes his pursuit. The crowd is with him, but after a frantic recovery the accelerator blocks and the Canadian driver can't proceed and withdraws four laps before the end of the race. 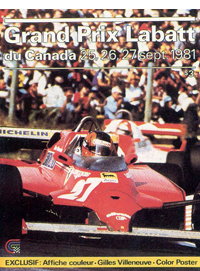 Jabouille withdraws as well and his teammate René Arnoux becomes the leader of the race and he is first until the end. 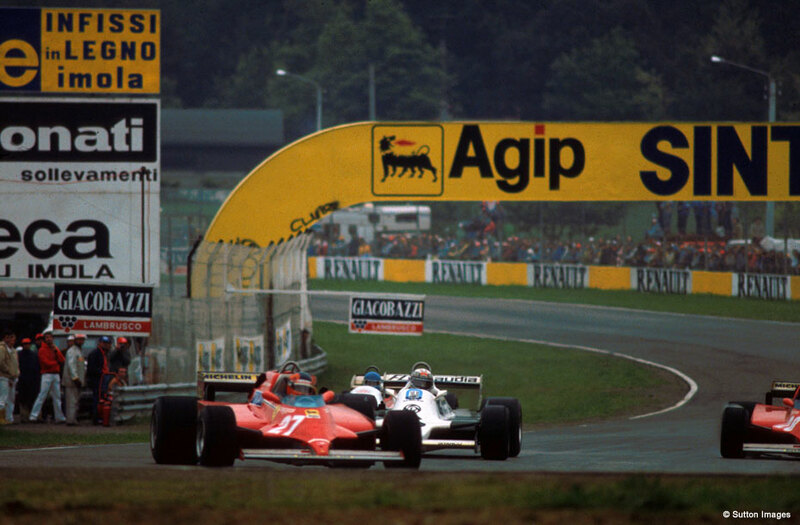 Arnoux gains his first victory in a world race. The second position is for a magnificent Elio De Angelis on his Lotus. 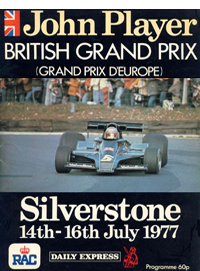 Alan Jones and the Williams look a lower tone: only a third position for the best driver (together with Villeneuve), but he remains first in the World Championship score all the same. 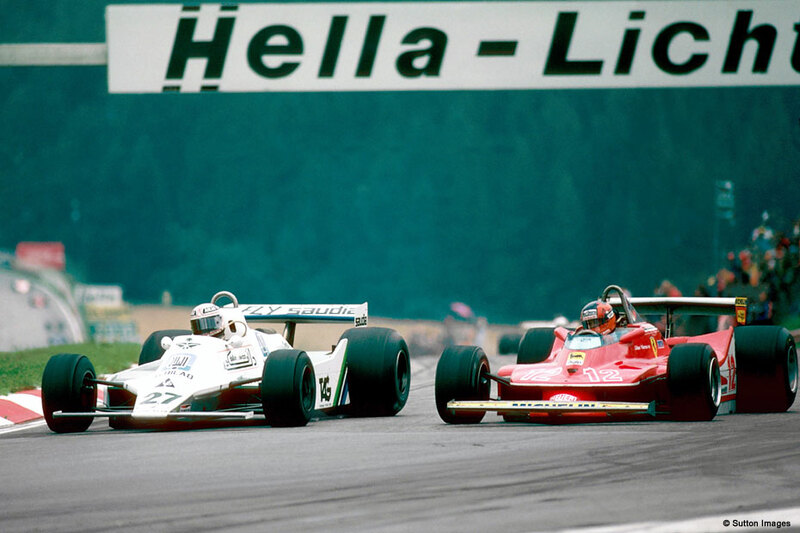 The duel for the fifth and the sixth position, between Prost and Patrese, underlines the nature of the transalpine driver destined to become a real champion. 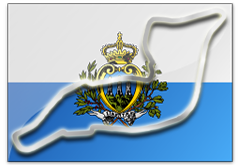 60 laps - 302,400 Km. At the end of the qualifying Villeneuve conquers the pole position with an incredible fast lap. He then goes back to the pits with a broken engine. "Considering the quantity of blue smoke coming out Gilles' car after that lap - says Jones - the power of his turbocharged must have been exorbitant." But the two Ferrari are great. 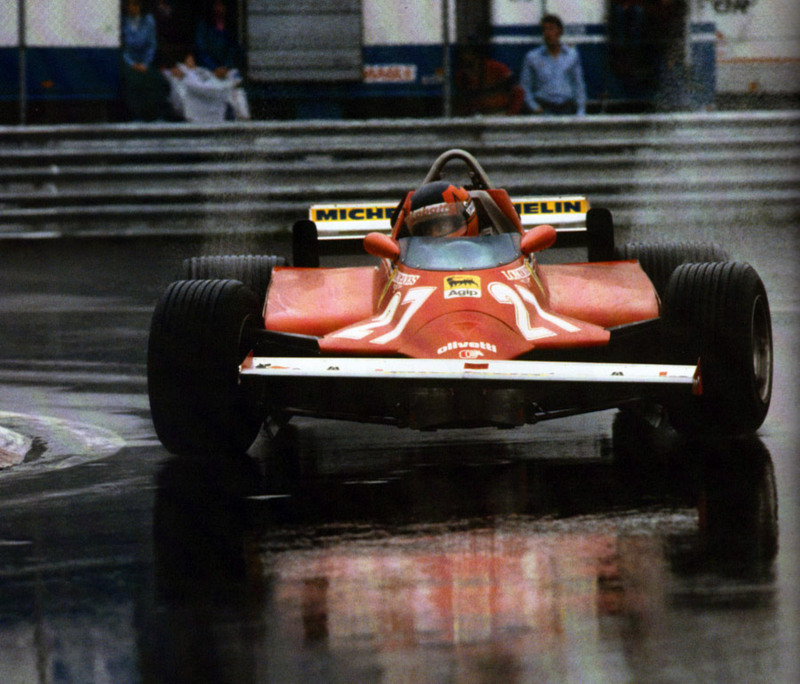 Gilles leads the race for fifteen laps, under the rain. He believes in the immediate return of good weather and he quickly decides to stop at the pits to change the tyres. This choice would underline his intuition if the rain stopped, but unfortunately it keeps on raining. 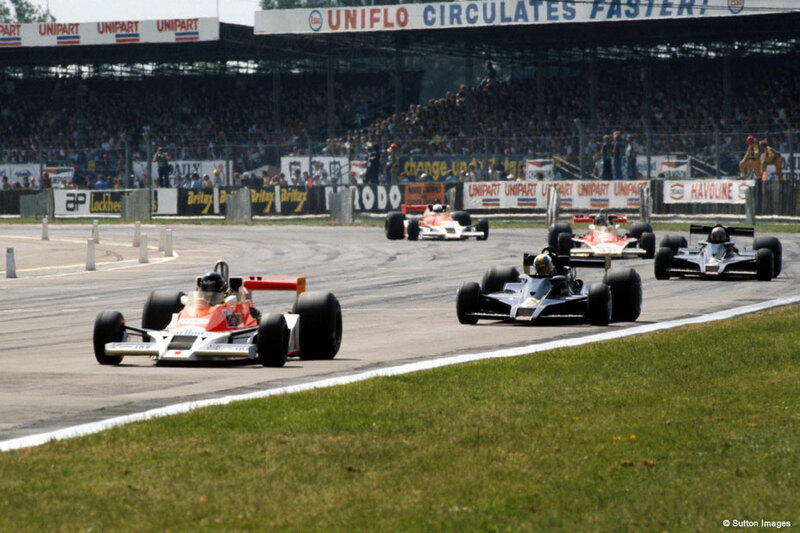 It is then Pironi who leads to the sixty-fourth lap, until he looses the hinge of the right side. The car becomes undrivable and Piquet overtakes him at the chicane. Nelson is therefore on lead. 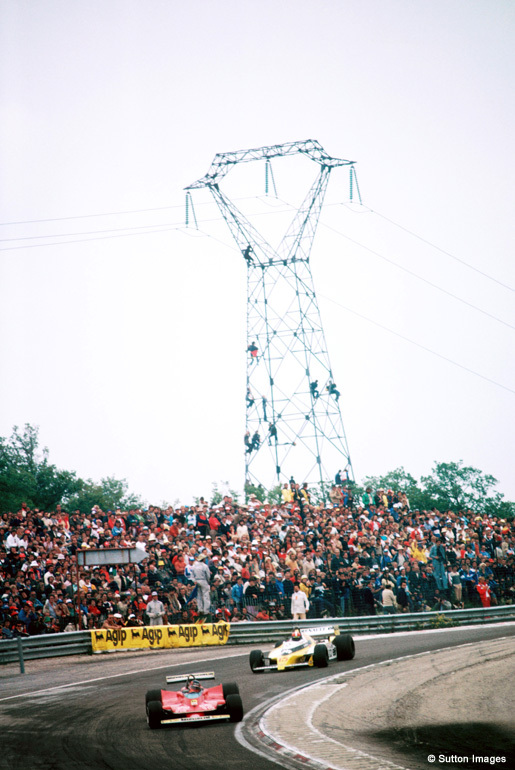 Three laps later, Riccardo Patrese ends his recovery: from the sixth to the second place. Fourteen laps before the end Villeneuve, tireless and vehement, sets up the fastest lap of the race and then he breaks the clutch: in a bit more than forty laps the Canadian has already gained over a minute on the leading group; he classifies himself seventh. 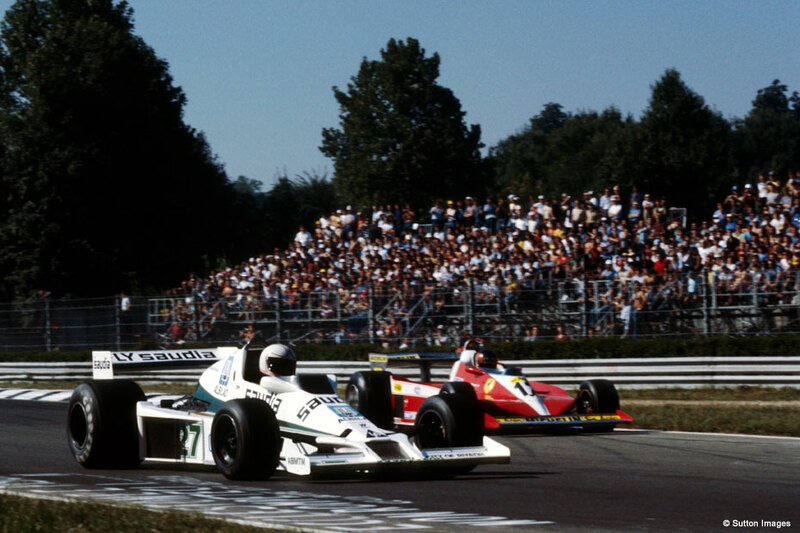 Reutemann is the third and Piquet wins. 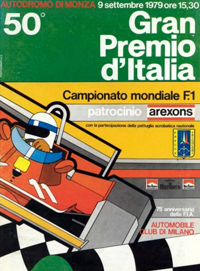 "My only problem - he declares - was to overtake Pironi." 63 laps - 277,830 Km. 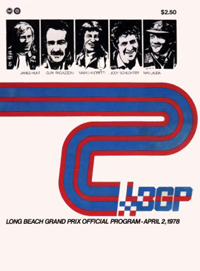 Reutemann looks remissive, Piquet shows no determination. It is raining and after six laps Alan Jones savours his victory. His tyres unfortunately betray him and he withdraws because: "There is no reason in taking the risk and destroying a car." The lead left by the Australian driver is taken by Prost. Alain as well feels he can obtain the nine scores, but the brakes betray him. At this point (the race has started for only eleven laps) Laffite is leader and he will be first until the end. Watson ends on second position, while a fantastic Villeneuve ends third having started from the sixth row. "Making up was not difficult - Gilles would say - but when the track started to dry, Watson was great and I could not resist him." 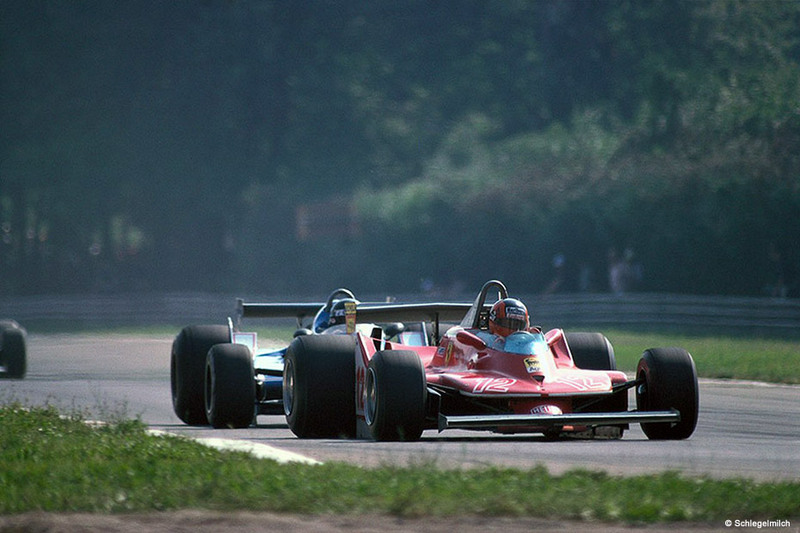 At the first lap Villeneuve had hit Arnoux and towards the end of the lap he was in tenth position. At the fifteenth lap he is second already, at the thirty-eighth lap Watson overtakes him and soon after the front wing mends, hitting De Angelis' Lotus. 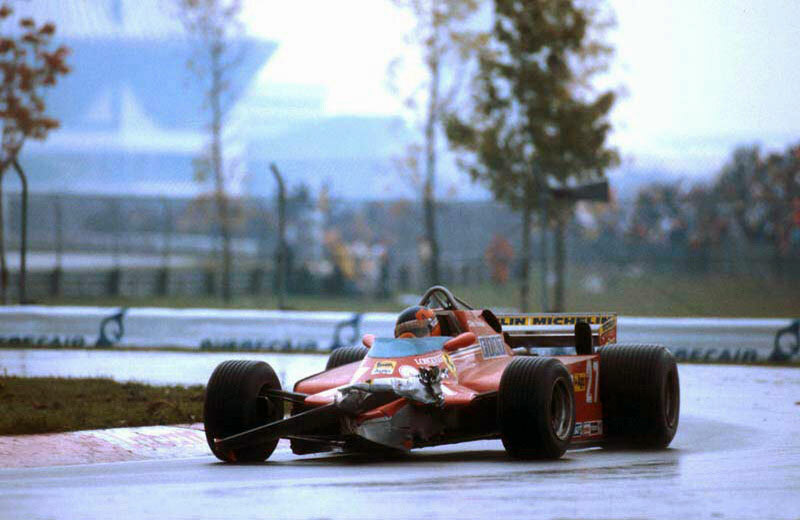 Gilles does not stop and drives a few laps with no visibility: he drives watching the dry trace left on the track. Then the wing flies away and he protects his third position, greatly managing a car now impossible to be driven. 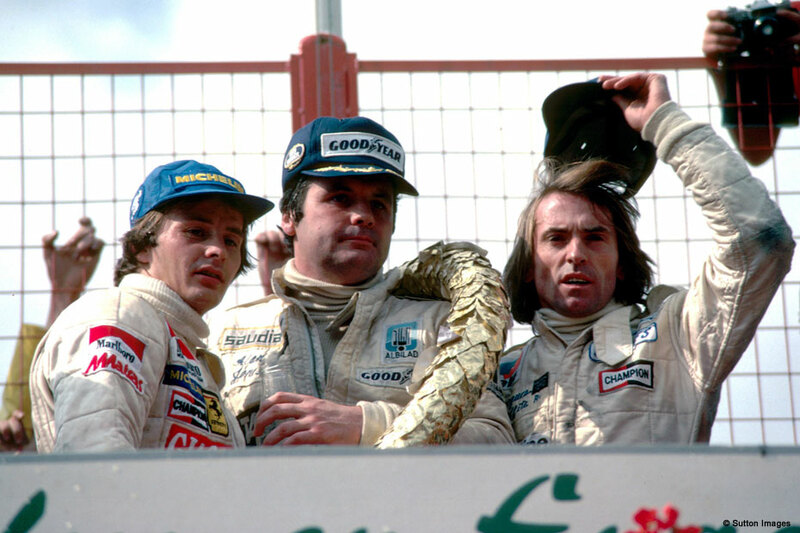 At the end he is on the podium together with Laffite and Watson. And in front of his Canadian supporters, he just wanted to be there.